DESCRIPTION: PTC Computer Solutions was employed as part of the Real Estate Marketing Alliance Team to assist in designing and developing a Marketing Plan to launch the new Jacksonville, Florida based home builder, TerraWise Homes in the northeast Florida area. The website, as part of the overall marketing, was the first aspect of this and included much of the overall branding and marketing concepts. TerraWise Homes is a well respected local builder team led by David and Melody Shacter. They are bringing the new concept of Net-Zero Energy Homes to Northeast Florida. These highly energy-efficient homes combine the latest construction techniques and product innovations with solar energy allowing homeowners to dramatically reduce their energy costs. You can find out more by going directly to their personal website, www.terrawisehomes.com, or contact them directly at info@terrawisehomes.com or 904.800.9473(WISE). 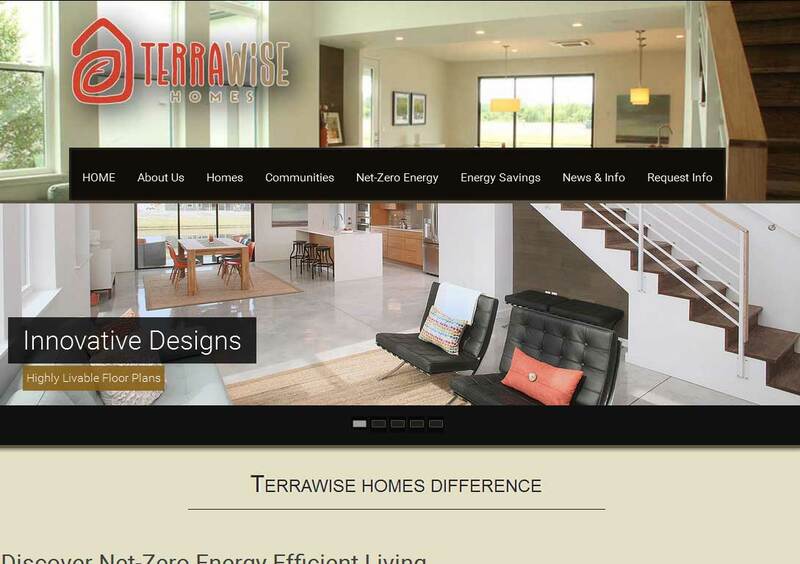 TerraWise Homes of Jacksonville, Florida is a builder of Net-Zero Energy homes. TerraWise Homes has been a homebuilder in the northeast Florida region for over 20 years in one capacity or another and has some of the best homes available with their designs and plans developed for the best possible energy efficiency and a Net Zero Energy home with the addition of Solar Photovoltaic (PV) Panels and micro-inverters to the home to generate as much or more electricity than is needed in the average home. Contact TerraWise Homes at info@terrawisehomes.com for more information or PTC Computer Solutions at info@ptccomputersolutions.com if you are interested in your own quality website design.